Home » The Mastermind: Drugs. Empire. Murder. Betrayal. The extraordinary story of Paul Le Roux – one of the world’s most prolific criminals, and the embodiment of a new generation of internet-enabled kingpins – and the US government’s clandestine efforts to bring him down. 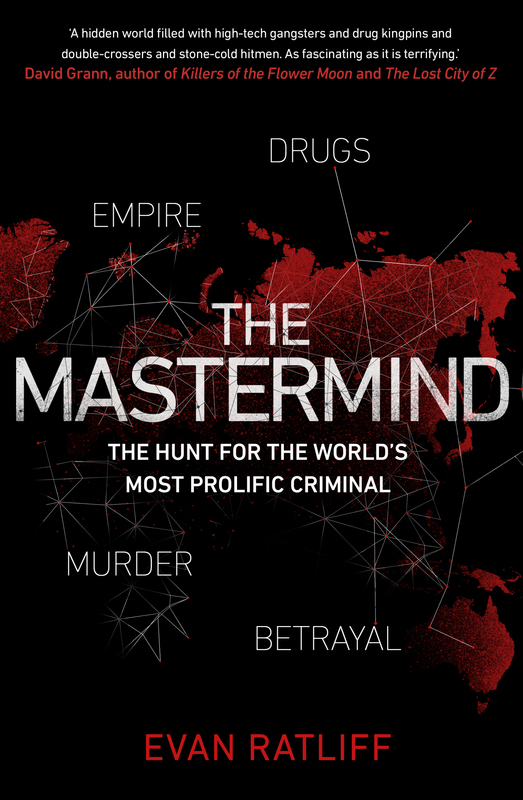 The Mastermind tells the incredible true story of Paul Le Roux, the frighteningly powerful creator of a 21st Century cartel, and the decade-long global manhunt that finally brought his empire to its knees. From its origins as a prescription drug network, supplying hundreds of millions of dollars’ worth of painkillers to online customers, Le Roux’s business evolved into a sprawling multinational conglomerate engaged in almost every conceivable aspect of criminal mayhem. Yachts carrying $100 million in cocaine. Safe houses in Hong Kong filled with gold bars. Shipments of methamphetamine from North Korea. Weapons deals with Iran. Mercenary armies in Somalia. Teams of hitmen in the Philippines. All tied together with encryption programs so advanced that government agencies could not break them. Tracing Le Roux’s vast wealth and his shadowy henchmen around the world, award-winning journalist Evan Ratliff spent four years piecing together this intricate network. His investigation reveals a tale of ambition and greed, and exposes a new age of international crime in which a reclusive entrepreneur can thrive, combining the ruthlessness of a drug lord with the technological capabilities of a Silicon Valley firm to build an empire in the shadows of our networked world. The result is a riveting, unprecedented account of the most prolific crime boss built by and for the digital age. READ THE FIRST CHAPTER of The Mastermind .